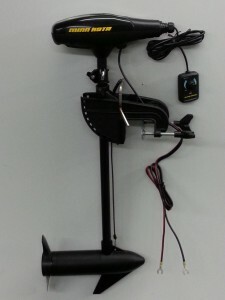 The kit comes with a 40 thrust lb motor and the EH throttle control. The kit can be installed in as little as 10 minutes with a screwdriver. 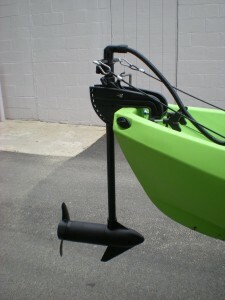 A great feature is the fully adjustable foot rails, they can be adjusted for solo or tandem operation is seconds. 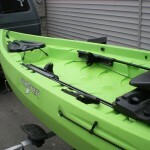 all of the electronics are mounted in a battery box or inside the kayak. The EM option is also available as the EK throttle option . 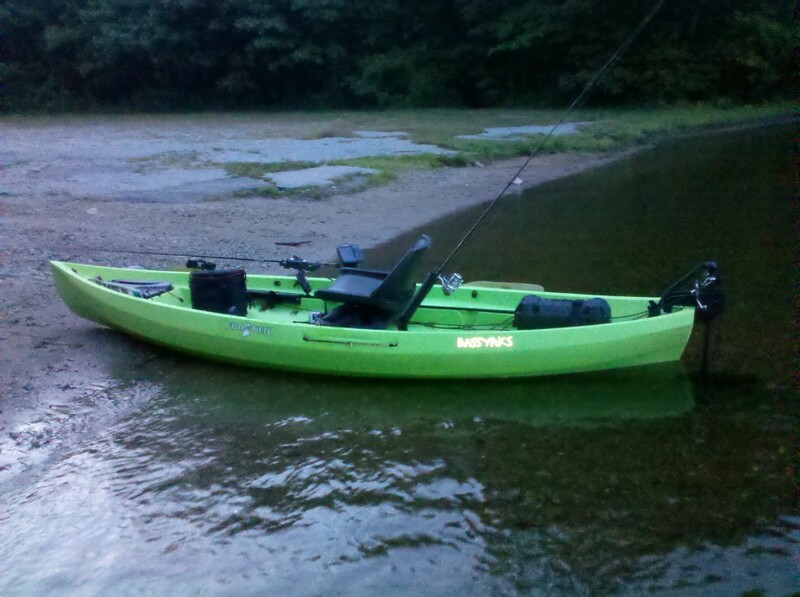 The full range of motor sizes are also available. A forward mounting battery kit is available to balance out the boat, placing the battery inside the front hatch $100.